The most important thing about a Scout’s backpack is a proper fit. The second most important consideration is whether it will fit them next year, let alone three years from now. 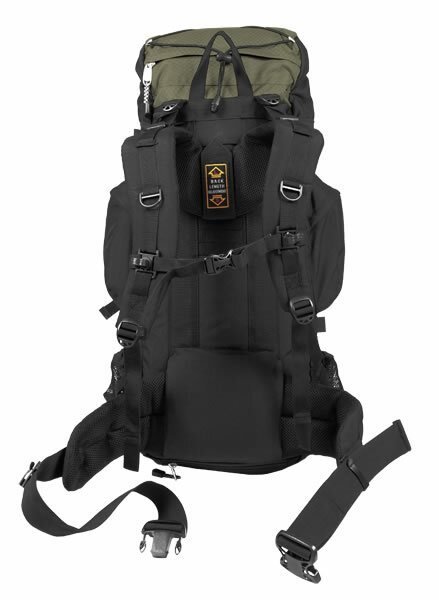 A top-of-the-line $400.00 backpack that doesn’t fit properly or grow along with a Scout is not only a waste of money, it’s going to be so uncomfortable a Scout will think twice before he goes camping or backpacking again. 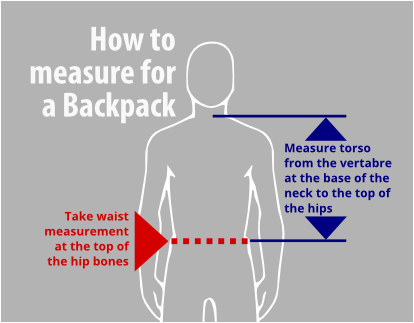 There are two basic types of backpack – external and internal. External frame packs have the pack bag attached to the frame. Internal frame packs have the frame built into the bag. In my experience, Scouts are better off with external frame backpack because they are easier to pack and adjust. Internal frame packs are generally lighter and have a narrower profile but are generally more difficult to pack correctly. Finding an internal frame pack for Scouts that has the right combination of features for a reasonable price is a challenge. 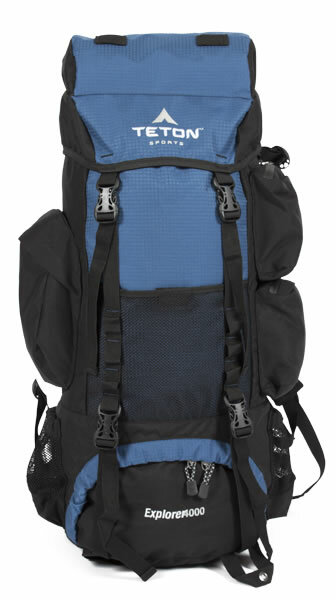 Both Teton packs have side pockets, in my experience, Scouts are better able to organize access and pack their gear in a pack with side pockets. There’s space behind the side pockets on the Explorer 4000 to stow tent poles or other long items, on the Scout 3400 there’s provision for long items in the main compartment by unzipping the side of the divider between the upper and lower compartments. Both have zippered pockets in the lid, a mesh pocket on the back and two water bottle pockets at hip level. 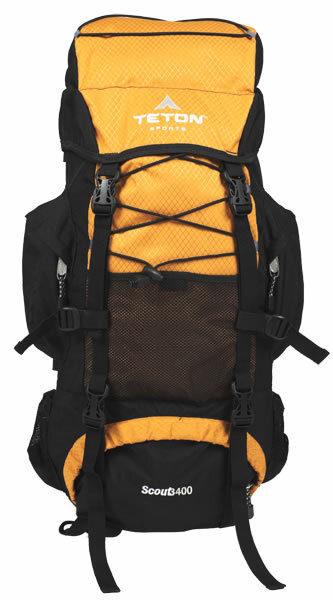 Compression straps help stabilize and compress the load so the pack carries properly. 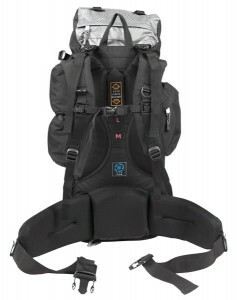 Both Packs have an upper and lower main compartments. Traditionally the lower compartment is for the sleeping bag, but the less expensive sleeping bags Scouts are likely to own may be too bulky to fit. In that case, I recommend packing the sleeping bag a stuff sacks, putting it in in the top main compartment and putting other gear in the lower compartment. Both models have a compartment for a water bladder (up to 3 liters) and clips to hold the drinking tube on the shoulder straps. There’s also a built in rain cover that stows in a zippered compartment on the bottom of the pack. Outfitting a Scout for backpacking can be expensive, and a proper pack is a big part of that expense. At this writing the Scout 3400 is just under $75.00 and the Explorer 4000 is about $80.00 on Amazon – that’s an excellent price for packs with these features. 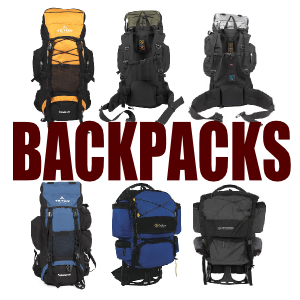 Naturally, these aren’t just used for backpacking; they can carry gear for just about any camping trip. The only downside I can see is that these packs are a little on the heavy side (The Explorer 4000 weighs 5 pounds and the Scout 3400 weighs 4.5 pounds) a lighter weight pack is likely to be much more expensive.